Stateland Cafe - Bali Lane, Singapore | JACQSOWHAT: Food. Travel. Lifestyle. For the dessert menu, there were thick toast to six different waffle flavours. A classic waffle with berries and syrup starts at $9.90. 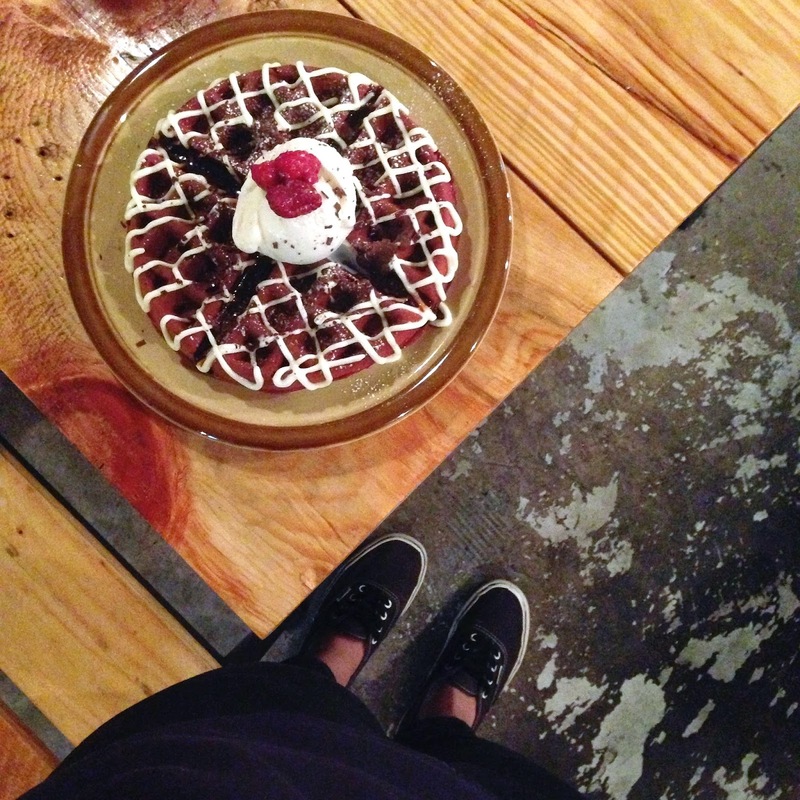 We decided to try Black Forest Waffle ($14.90) which is topped w cherry compote and chocolate ice cream. And the Plain Waffle ($11.90) with a scoop of honey yoghurt ice cream. Overall, the waffles were a little disappointing, they were crispy on the outside but hollow and dry on the inside. Maybe that's just me. And there were too much of cherry compote on the black forest waffle which makes it soggy and overpowering the taste of the waffle itself. *Update: We decided to visit Stateland again after they extended their unit next door. Tried the Red Velvet Waffle ($14.90) and they were better than before. Crisp on the outside and fluffy within this time, the cream cheese and chocolate sauce brings out the sweetness. Overall, it's good but not the best. Moving on to the breakfast menu, we decided to try the popular ones like Eggs Benedict and Statelander's Big Breakfast. Eggs Benedict ($14.90) - poached eggs on top of pork ham and brioche toast. It was average and the poached eggs wasn't really runny. Overall, it was good! Statelander's Big Breakfast ($17) - scramble eggs, pork sausages, toasted brioche, bacon, stewed mushroom drizzle over with home made tomato chilli jam. I didn't like the idea of stacking all the ingredients on the toast. It defeat the purpose of toasted brioche. I find it wasn't worth the value of 17 bucks with the quality of it. A refreshed menu as of 2015, simple with only 4 mains and the rest are toasts and waffles. Tried the Mentaiko A.O $13.90 - pasta in aglio olio style with tangy mentaiko dressing and spring onions. 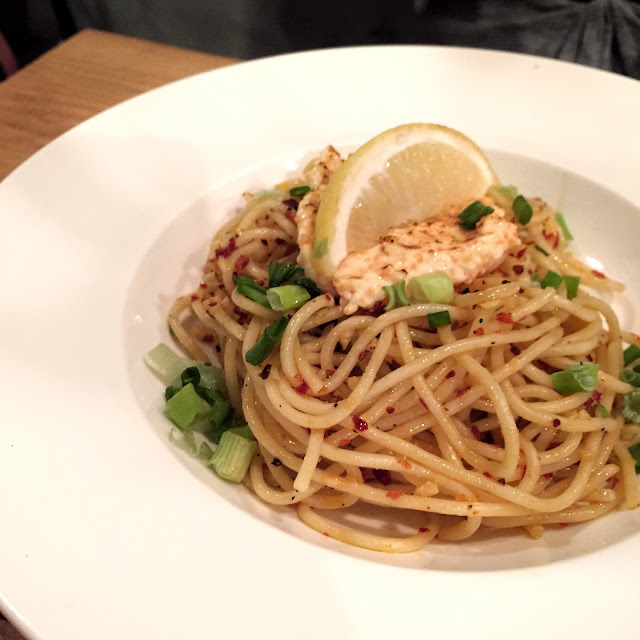 The mentaiko dressing is mixed with mayo and topped on the pasta. 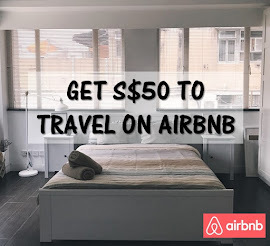 Quite an interesting combination of aglio olio style, pricing wise pretty affordable too. 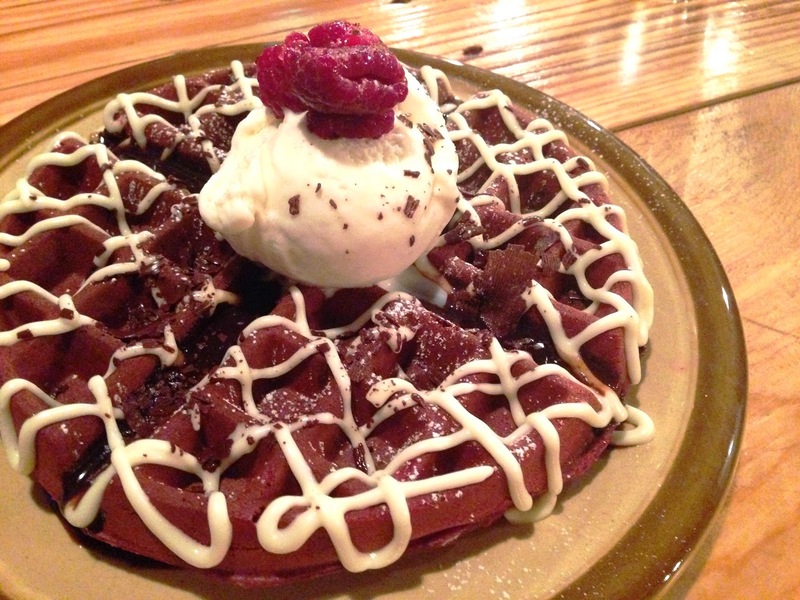 A new flavoured waffle on the new menu, here's Kyoto $16.90. 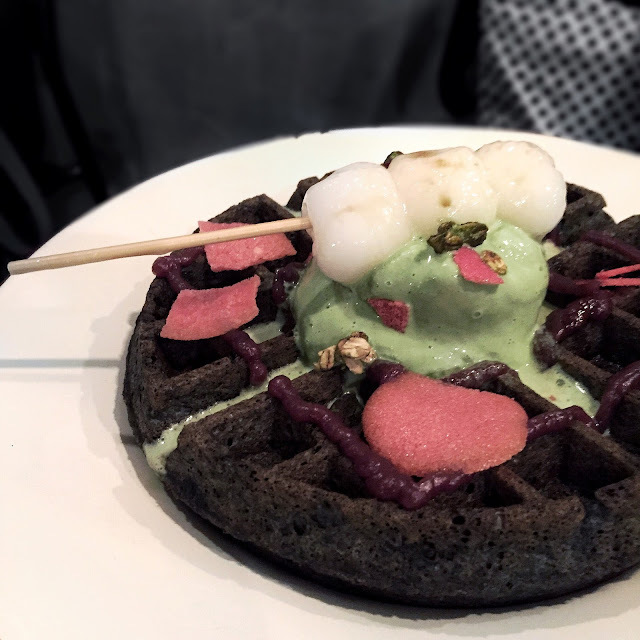 Black sesame yeasted waffle, topped with matcha ice cream, red bean puree, rice cakes and pink tuiles. The texture of the waffle was crispy even on the inside, to the extend it seems like I was having a waffle biscuit. Nonetheless, the black sesame flavour were distinctive. Back here to try the 'TAN' charcoal waffle but it was sold out so we went ahead with the Matcha Honey Toast $14.90. 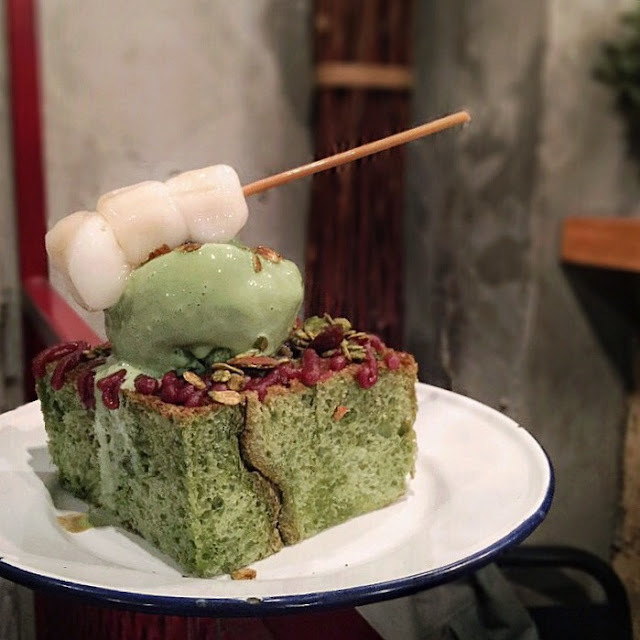 Butter and honey baked matcha pain de mie topped with matcha ice cream, matcha granola and rice balls. It was a great combination with granola but the toast was unfortunately as hard as a rock. Otherwise, it's rather good. 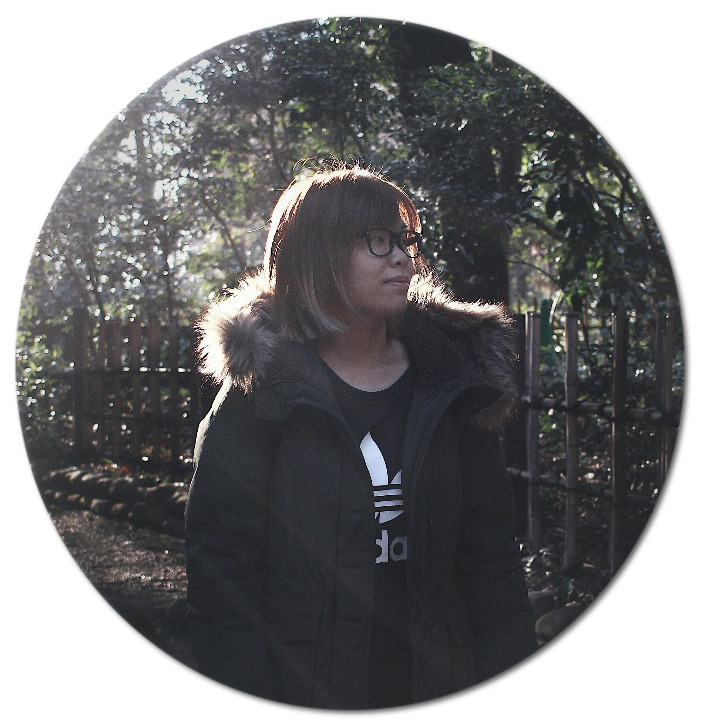 Stateland Cafe is a vintage-industrial themed cafe, a great place to chill with your friends over a cup of coffee. After roaming around a number of cafes in Singapore, I personally think the quality of food here has improved after launching the new menu. It is indeed more affordable and creative.